You may have been there before, to that same camp ground and you may have been there many times. Does this mean, however that you shouldn’t be fully prepared to get lost or not be able to find your way to the camp ground recreation center, the rangers’ post and even the swimming pool? 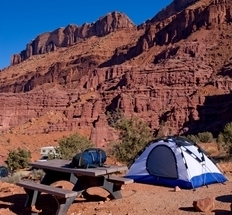 There are many ways in which to stay familiar with the camp grounds around the country and they do not have to be expensive means of keeping geographically alert. First of all is the trusted and handy laptop. The laptop can and will come in extremely handy when trying to navigate yourself around and in camp grounds because of the many different ‘mapping’ sites available online. There are several well-known sites that will show you a map of the area you need to find your way. You can also take along a GPS which is a computerized navigational system. You simply enter the specs of where you want to be and the GPS system literally takes you to that spot. There are also many phones on the market that have GPS capabilities if you are not in the market for a GPS system.